FREEPORT, Long Island (WABC) -- Police have charged two brothers from Freeport after a shooting on Long Island. Around noon Friday, Larry Williams, 56, of Freeport, got into an argument behind a building on South Main Street in Freeport. Police said Williams shot twice at a man he was with. The victim avoided being struck and ran into the building. The suspect was later found by police, riding in a car on Powell Street and Colonial Avenue in Freeport. 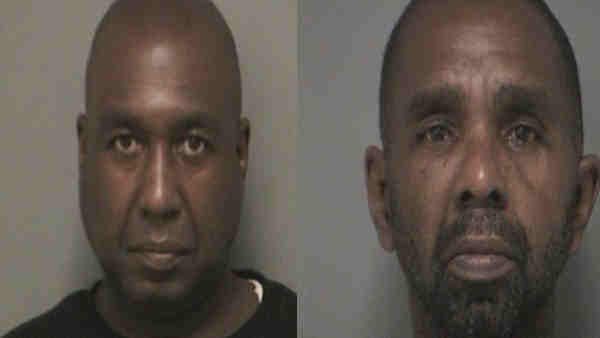 According to Nassau County Police Department, both Williams, and the driver, the defendant's brother, Robert Williams, 54, had heroin with them. Two handguns were recovered at the brothers' home, which they share; one of the guns was stolen, police said. Larry Williams is being charged with murder 2nd Degree (attempt), as well as weapon charges. He is scheduled for arraignment Saturday. Robert Williams is being charged with criminal possession and traffic violations. He was released on a desk appearance ticket.